We all know that sinking feeling. 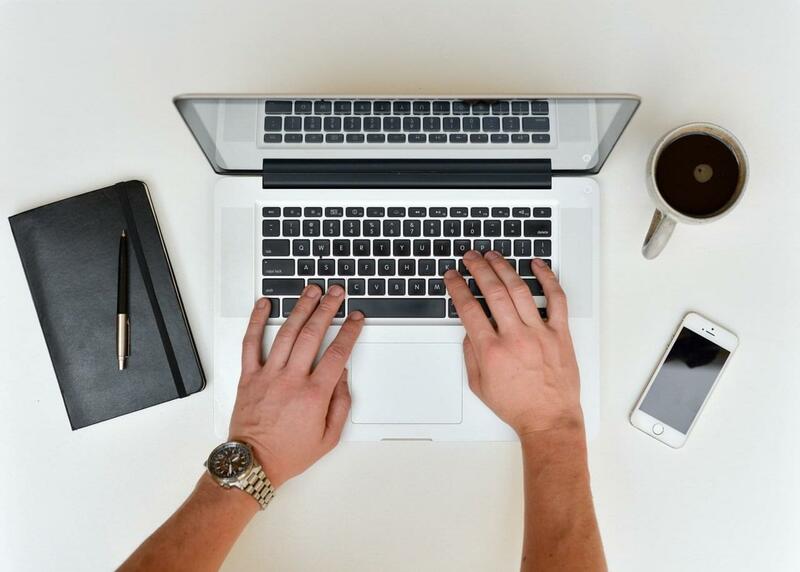 You’ve spent ages aching over the perfect e-mail to a candidate. You’ve got your buzz-words, you’ve nailed the friendly but not over-familiar tone, you even included a gif that was legitimately hilarious. But no matter how many times you hit refresh there is no reply e-mail sitting in your inbox. There’s no tribute to your amazing recruitment skillz. No message brimming with wonder and awe at how you became so good at pitching to candidates, you were born to be a recruiter. Boomerang– the awesome e-mail scheduling tool– conducted a survey based on all the e-mails sent using their service. Thanks to their insight we are able to dig deep down and find the ingredients for the perfect e-mail. This is the first part people see of your e-mail. If you miss the perfect pitch in your subject line it might be the only part people see. This guide will walk you through step by step all the key components of a great subject line that is guarenteed to get your e-mails opened. E-mails with subject lines that have 3-4 words have a much higher open rate than e-mails with longer or shorter subject lines. Adding an extra word isn’t going to kill your e-mail stone dead, especially if it help you add context but ultimately you want to keep the subject line short and snappy. Three to four keywords in a subject line has proven to be the most successful. 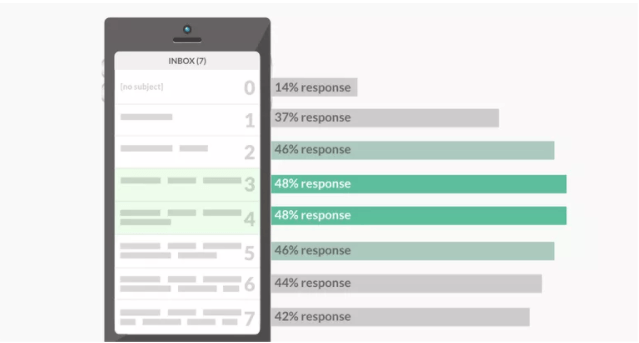 According to Boomerang only 14% of e-mails with no subject line are opened- so taking a short cut does not pay off. So you know the structure behind the optimum subject line. But what else do you need to give these 3-4 words a little more magic to make sure you e-mails are being opened. Adding an element of curiosity to your subject line is the perfect hook to getting people to open your e-mails. This works especially well when your target recipient has a low workload eg. first thing in the morning or last thing at night. It is also super successful if you know the person you are e-mailing or have spoken to them at some point before. Utility in the subject line is the key to open e-mails when your target is busy and has many e-mails sitting unread in their inbox. Utility means that the recipient can look at the subject line and instantly have an idea about the content of the e-mail. This means when they’re staring blankly at a number of unread e-mails they can zone in on yours with a good idea of you are talking about and what their action point might be. This will make them more likely to click on your e-mail during the busy working hours. When you couple specificity with utility you give your recipient all the right incentives to open your e-mail. By being specific in the subject line it is clear what you’re referring to in your e-mail. The recipient doesn’t need to spend time and energy wondering why you contacted them, you have done that bit for them. This will make them more likely to open your e-mail because they know what it’s about and can action it quickly. Specificity and utility are also a dream combination for ensuring people open and read your e-mails. Although the subject line might not tell them exactly what the e-mails about (curiosity) they know it refers to a previous discussion topic or reference point. Since they have already been in contact with you, they have a good idea what your message is referring to but there is still an element of curiosity to encourage them to open your e-mail quickly. Using these three key components you are guaranteed to see an increase in your e-mail open rates. Congratulations you have now aced the subject line. Now it’s time to reward your e-mail reader with a great, snappy e-mail that provides information and value and a clear call to action. I know, you’ve spent every year since you were eight years old honing your writing skills. In fact, the majority of your life has been centred around not sounding like an eight-year-old. 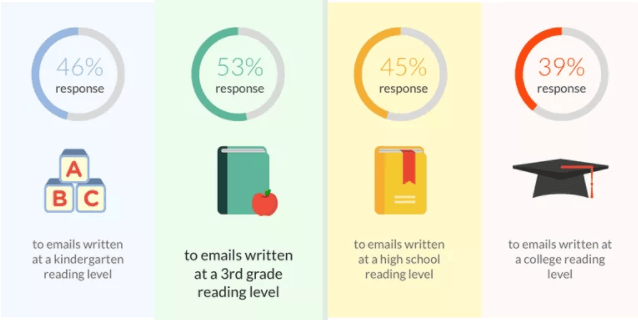 BUT e-mails that are super easy to read get a much higher response rate than anything complex. Next time you’re writing an e-mail take a step back and think could an 8-year-old read this e-mail? As you’re writing an e-mail it’s easy to get carried away and keep writing and writing and writing. 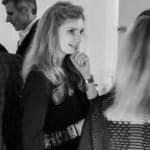 It’s natural, you’re passionate about what you do and want to engage with the recipient. You’re eager to provide them with as much information as possible but this can be counter-productive. 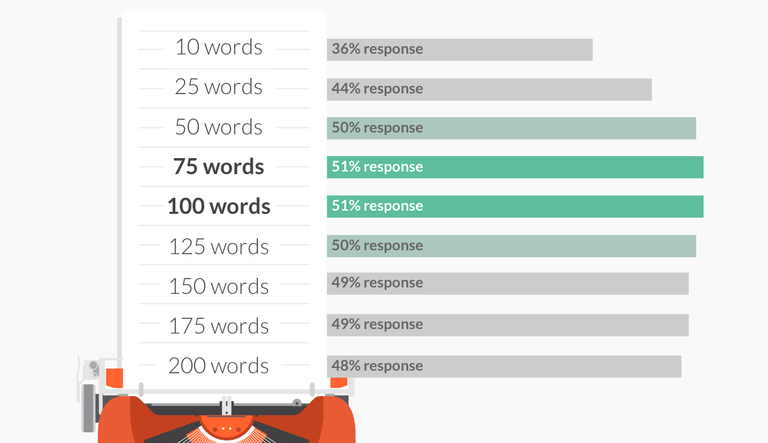 E-mails that have a word count of 50-125 words have the highest response rates according to Boomerang’s survey. Keep e-mails short and sweet with easy to understand information and a clear call to action. This will make the recipient more likely to respond as they don’t need to waste too much time or brain power reading and deciphering long-winded e-mails. We don’t mean start-of-Bambi emotional. E-mails that use particularly emotive words like “wonderful”, “fantastic” and “great” have a 15% higher response rates than words that use a more neutral tone. Even e-mails that use negative words like “angry” and “terrible” get a higher response rate- but we like to focus on the positive! 0.35 positive sentiment. Perfect! It’s easy to add positive sentiment to an email – this is all it takes. 0.55 positive sentiment. This will also work better than a neutral email, even if it’s not quite as good as the previous version. Now you have all the key elements to create a perfect e-mail that is guaranteed to improve your open AND response rates. If you’d like to learn more about social selling and the art of engaging with prospective candidates check out our Social Selling learning platform for material that is constantly updated according to the most recent research. Are you looking to build a killer recruiting team? Well, now you're in luck. read these tips to ensure you achieve recruiting glory!